It is often said that change is the only constant in life. Whether or not this is true, it is undeniable that the pace and intensity of change in recent times has accelerated significantly. At international level we are witnessing unprecedented social, political, economic and technological change, and even change in how we view and evaluate information in the post-truth era. At national level we have witnessed a number of significant shifts and developments in Irish society, as well as wide-ranging and long-lasting change resulting from the recent economic turmoil. It is within these rapidly changing national and international contexts that education is enacted and can itself be an active and transformational agent of change. Change always involves choice, and is never without challenge; in the words of Arnold Bennett, ‘any change, even a change for the better, is always accompanied by drawbacks and discomforts’. There is a moral dimension to how we act individually and collectively in times of change, especially within the given or emerged structures that can determine our choices to act. The challenges are often intensified by attempts to institutionalise commercial values which build on the definition of choice in consumption terms. The 2019 ESAI Conference presents an opportunity to discuss emerged structures and processes, and to reflect upon the changes, choices and challenges that we have faced, are facing and may yet face within a wide range of disciplines and educational settings on both national and international levels. 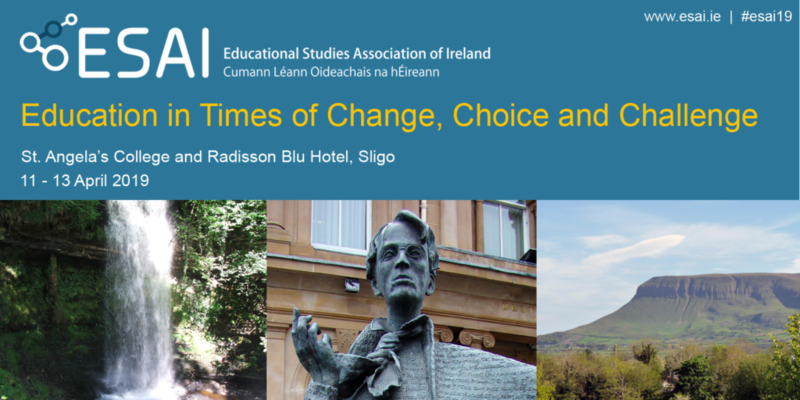 The broad theme of this year’s conference is intended to bring together scholars, practitioners, policymakers, emerging researchers and interested others from Ireland and beyond to debate and discuss these important educational issues, and to provide a forum for the dissemination of current research which focuses on the dynamic landscape of education in changing times. Paper: Individual papers will be timed for 20 minutes: 15 minutes presentation and 5 minutes for Q&A. Symposium: Symposia will typically contain 3 papers based around a central theme and will usually be timed for 60 minutes. Concise: Concise presentations will be 5 minutes in length, with a 10 minute general Q&A with all participants at the end of the session. Possible formats for this include digital poster, short paper, discussion, performance-type, etc. Please specify the proposed format when submitting your abstract. 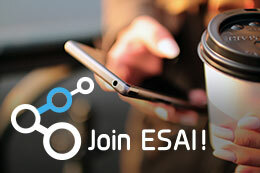 All abstracts should be submitted using the online abstract submission system at https://abstracts.esai.ie . This system will enable you to submit an abstract and to update or remove a previously submitted one. The closing date for submission of abstracts has been extended to Tuesday 15th January 2019.